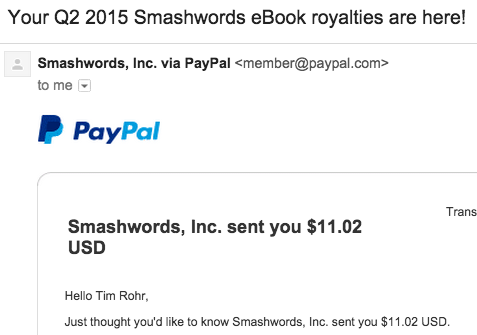 JungleWatch: TIM ROHR: THE "BUSINESSIST"
Speaking of Zoltan - who has accused me of being a "businessist" and only in this to make money selling my books. LOL, Zoltan, here's the statement from my publisher for my second quarter earnings. Maybe I shouldn't allow customers to set their own price. 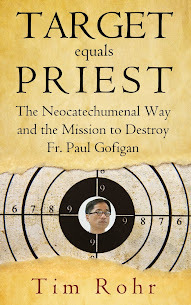 Get your free copy of WHY I'M CATHOLIC (or set your own price) here. Hard copies are available at the CCOG meetings. Hey Tim, maybe you could pick up a copy of Atienza's scholarly work, or perhaps Zoltan has something on the market???? hey I have the perfect investment opportunity " the zoltan dictionary" pretty catchy huh? lol omg where do they come up with this stuff? Hey, thanks for that. Your last one netted me a $100. Thanks again. lol tim I think they are mad because the profit is not in the basket...lol coming to you soon " the zoltan dictionary" pick one up at your nearest neo location also distributed at your moms house after she deeded it over to the neos. all profits will be forwarded, and that's it it will be forwarded. I would leave the address, but I would have to find it somewhere here???? and stay tuned also coming to a deeded home near you. a kiko motion picture about a young orange getting the life sucked out of her as she was search for her way in trying to get back home to her tree.
" the orange" produce and by two priest. For those interested, I will be launching my new book entitled "The Complete Unabridged Neo-Catechumenal Directory and Basic Beliefs." The first one hundred customers who purchase my book will receive a complimentary copy of "The Archdiocese of Agana Financial Report 2015." Book signing will be announced by media outlets soon. 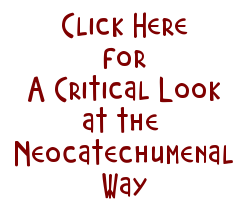 I am starting a new book as a matter of fact entitled, "The Catholic Mission of the Neo-Catechumenal Way." On a personal note, it was really easy to write this book, and its upcoming sequels. Of course it was (and will be) because when you flip the pages, they are all empty! Ha! Ha! Ha! Reasearch is non-existent because like the charlattan Z, my findings are not based on research but inside the vortex of my beautiful mind. There are probably research materials to bear proof to my theories yet I am the epitome of lazy but, trust me, they are "somewhere and its a matter of me finding where it is." Hearing whispers infamous Fr.Blockley is writing a book. Guess between his drinking sessions. Credited with transforming Mystery through creation of his private eye. Guess he's revealing " third secret " of Fatima. Foreword yes you got it by Anthony Apuron. LOL. To the person who wants anonymously to know how much money I make. Come and see me. Bring your tax returns. Come on Tim, tell us, even your daughters are in it. Shut me up.